I went to camp over the summer - in Las Vegas! It was a magical few days full of inspiration and enthusiasm and I left feeling so grateful for the experience. 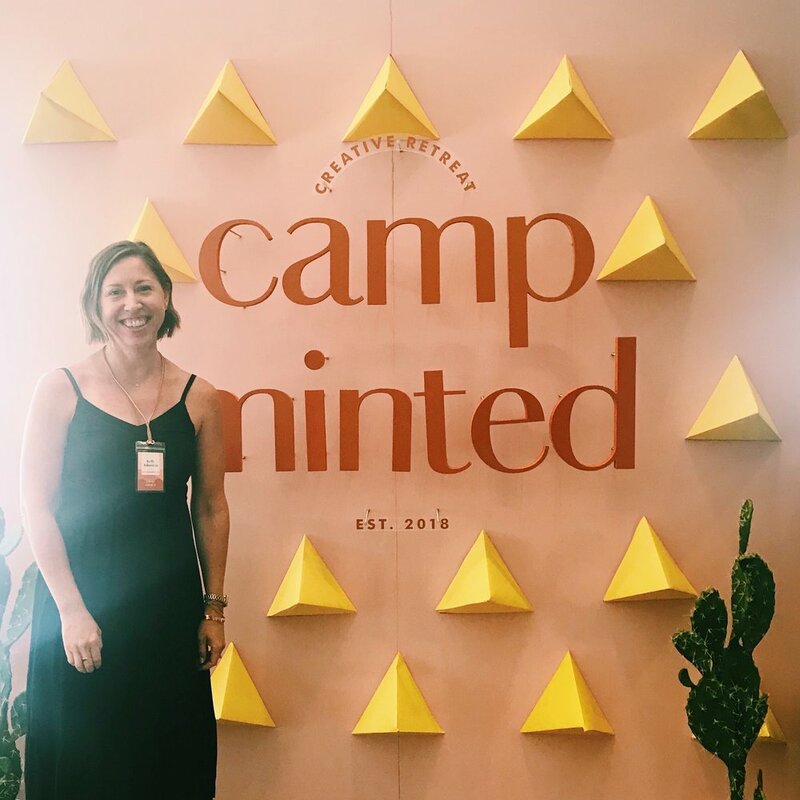 Minted hosted nearly 200 artists from around the world for Camp Minted: a creative retreat featuring three action-packed days full of workshops, guest speakers, classes, and fun. 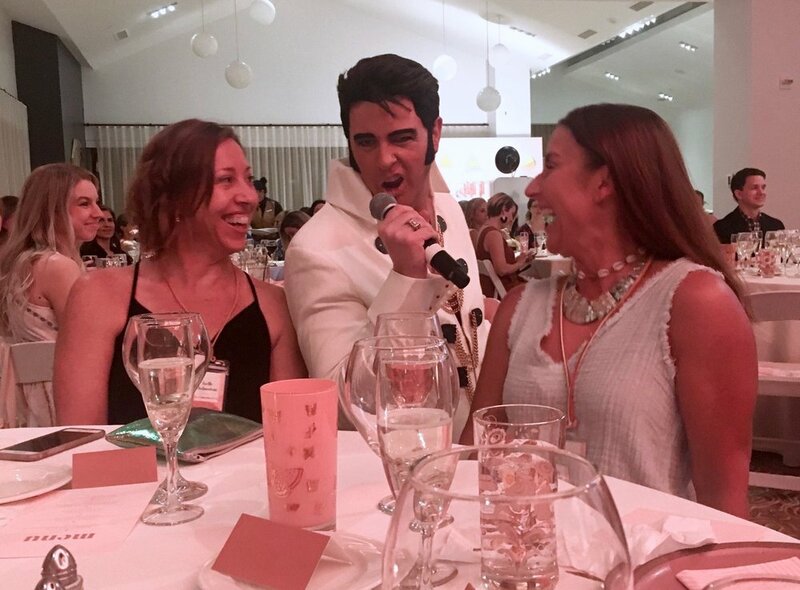 Highlights included meeting all the other campers, learning from the many talented speakers and presenters, morning yoga, and a beautiful dinner and awards ceremony with a surprise appearance by Elvis! 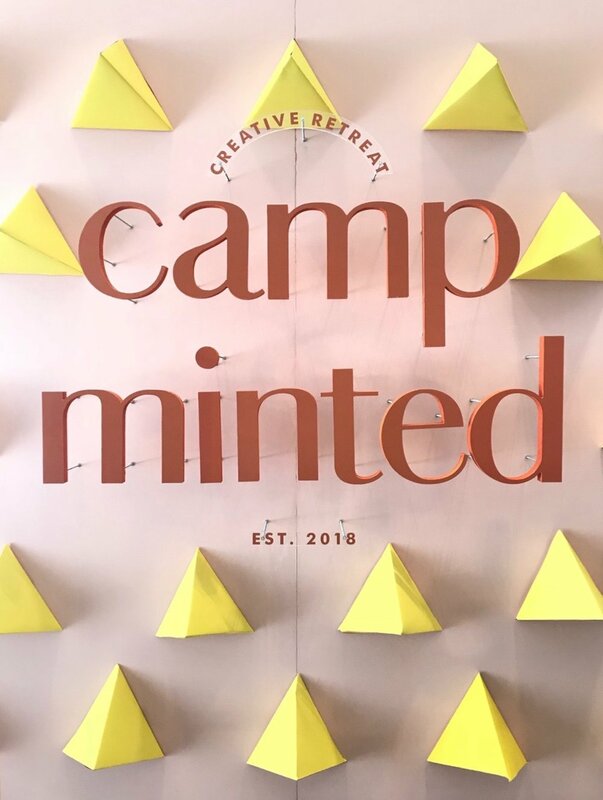 I wish I'd taken more photos and could eloquently recap the entire trip, but luckily Minted did a beautiful job of that too - here is a fantastic summary. Some of my Minted swag! 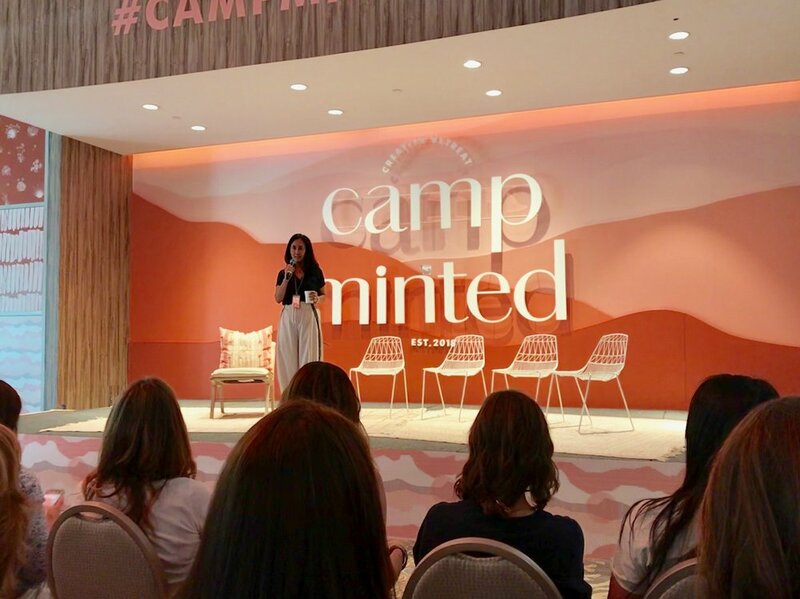 Minted founder and CEO Mariam Naficy kicking things off. 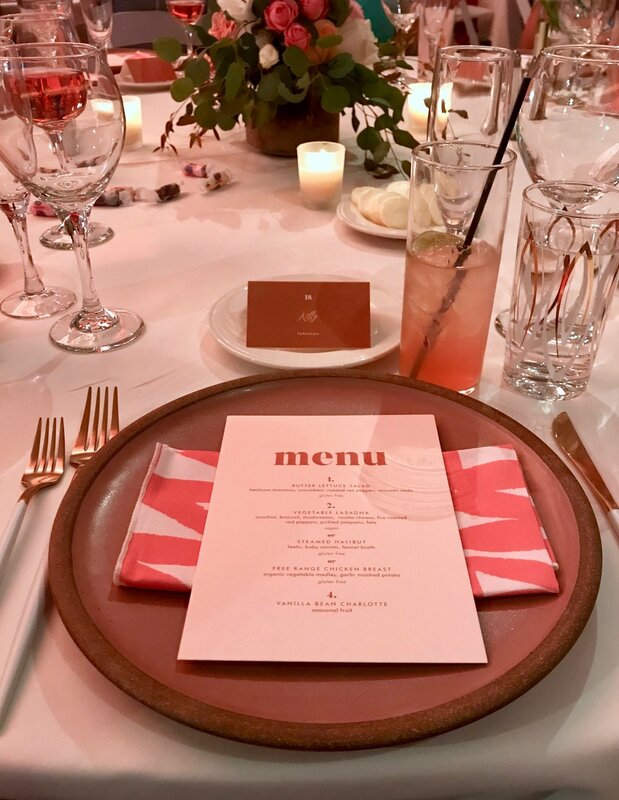 The beautiful place settings at the awards ceremony dinner - we all loved the Minted napkins! We took group photos based on the year we joined Minted - here I am (top row, second from the left) with the class of 2014. Elvis was in the building. 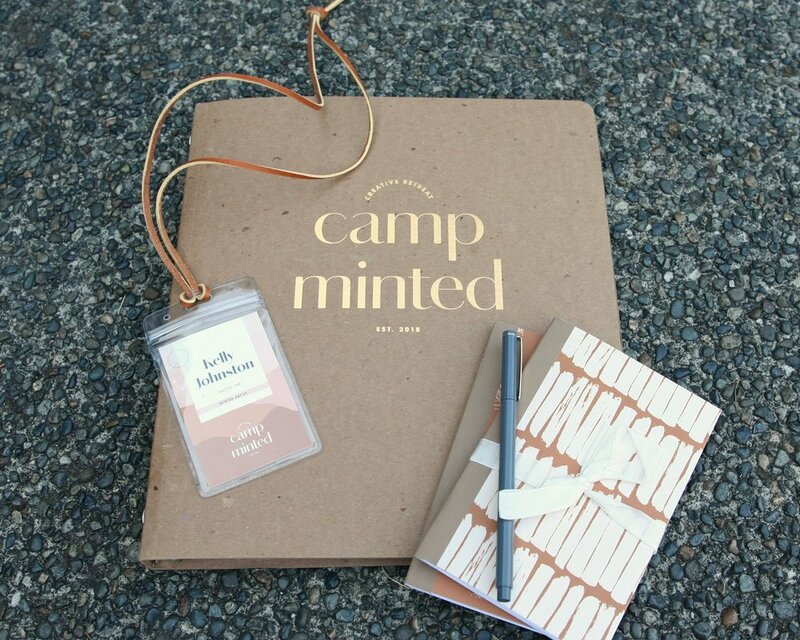 Thank you to Minted for an amazing retreat!